A classic German bread. 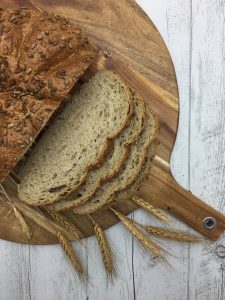 Laced with sunflower kernels this medium density rye bread is rich in flavour with an irresistible crunch. Enjoy with all your favourite toppings. Single Loaf (servings dependent on slice thickness).